Jazz is not my musical genre, so I may not be doing this new release justice but I will give it my best shot. 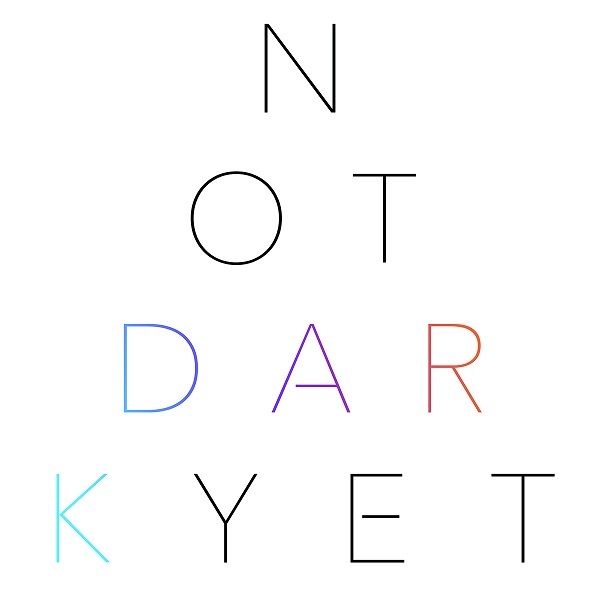 Brooklyn-based composer and band leader Nathan Parker Smith has assembled a large ensemble for his debut release Not Dark Yet. The result is something like a marriage of big band, Miles Davis, and Robert Fripp, but without the guitar. There are reams of exploding harsh dissonance, very tight arrangements, and frequently melodic passages. The disc lasts only about 36 minutes, but over that time you experience eleven different instrumental tracks, the longest clocking in at five minutes. So there is just the right amount of time to fully explore each of Nathan’s ideas without overwhelming the listener. There is a lot of energy bubbling just below the surface on each track, as well as a myriad of rhythmic and melodic themes running in parallel. Some of the tracks have titles that perfectly capture the essence of the music, “Solace” with its quiet e-piano intro that slowly adds new elements without layering the music, “Spin” with lots of cycling drums, brass, and bass evoking a West Side Story vibe, and “Build and Destroy” with its controlled chaos. Perhaps the best track, in my opinion, is “Fog over East” that is quiet and formless for the first half and slowly develops some structure with the added horns. If this review from a non-jazz specialist sounds at all interesting, please be sure to seek out this disc.